The Journal Alzheimer’s and Dementia from February 2016 included a number of pertinent articles including one, entitled “Prudent diet may attenuate the adverse effects of Western diet on cognitive decline” by Behnaz Shankersain, from the Karolinska Institute, Stockholm University, Stockholm, Sweden. The article reviewed the adverse effects of Western diet on cognitive decline. A total of 2223 dementia free participants aged greater than 60 years old were followed up for six years to examine the impact of dietary patterns on cognitive decline. 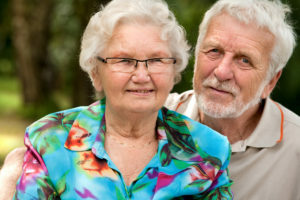 Cognitive decline is defined as an age-related deterioration in cognitive functioning characterized by increasing difficulties with memory, language and other cognitive functions. Cognitive decline may eventually lead to mild cognitive impairment and dementia. In light of the increasing prevalence of cognitive decline there has been an increased focus on modifying identified risks. A number of studies have investigated the association between individual food items or nutrients in cognitive function and dementia. This led to an explosion in the availability of single nutrient supplements which have been marketed extensively. More recent research however suggests that the cumulative effect of various nutrients in a whole diet might result in a greater opportunity for improved cognitive functioning and slowing of decline in comparison with the provision of a single nutrient or single food item. Most of the studies on the various diets have demonstrated a positive or protective effect of the “Mediterranean like diet” on dementia or cognitive decline. In contrast a dietary pattern low in vegetables and high in saturated and trans-fat and sugar has been associated with cognitive deficits in Alzheimer’s disease. Furthermore the “Western type” dietary pattern which includes red meat, refined grains, high fat dietary products, and sugar has been found to play a role in the development of AD in animal models. This study demonstrated that the Western dietary pattern characterized by more frequent intakes of red processed meat, saturated trans-fat, refined grains, and sugar may predict cognitive decline. A prudent dietary pattern characterized by more frequent intakes of vegetables, fruit, cooking/dressing oil, cereals, legumes, whole grains/rice pasta, fish low-fat dairy, poultry and water may preserve cognitive function. Results from this study also suggests that the positive association of the Western diet with cognitive decline could be counteracted by higher adherence to the prudent diet.